Dr. Tho Pham is a Bay Area native and proud Milpitas High School alumnus. He acquired his BS and MD at UCLA and UCSD, respectively. He did his residency and fellowship at Stanford Univeristy, and has been Associate Medical Director of Clinical Services at SBC since 2014. Dr. Pham is actively involved in a variety of research projects, both scientifically and operationally. From a scientific standpoint, he is interested in studying antibody responses to carbohydrate antigens. Operationally, he has been involved in implementing data-driven inventory practices. 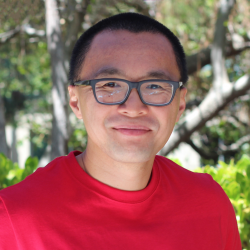 Dr. Pham is also a co-chair on the California Blood Bank Society (CBBS) Scientific Committee. In between undergraduate and medical schools, Tho had volunteered for the Peace Corps and was stationed in The Gambia for a little over a year where he taught math and science in a rural village setting. Also as a point of trivia, he contracted malaria while he was there. Luckily, he survived. He enjoys reading classic Greek and Roman literature; his favorite classical works include Lives by Plutarch (John Dryden translation) and Peloponnesian Way by Thucydides (Thomas Hobbes translation). So much is his fascination with this topic that, instead of Spanish, he foolishly took Ancient Greek to fulfill the foreign language requirement as an undergraduate at UCLA.